The ABF conducts Australian Team Selection Playoffs each year to select Australian Open, Women’s and Senior Representative Teams for the coming year. Currently the playoffs are held in November and December each year. Eligibility to enter the Playoffs is based on Playoff Qualifying Points earned during the PQP cycle leading to the Playoffs, and the number of entries may be limited. Details are at Playoff Qualifying Points, Open Playoff, and Women’s and Senior Playoffs. All players who enter the Playoff must be eligible to play for Australia as per the ABF’s Eligibility to represent Australia Policy. By entering the Playoff, all players declare that they are available and intend to represent Australia in any Target Event/s if they qualify. In odd years (2019, 2021, …), the APBF Championships and Zone 7 Playoffs and, for successful teams, the WBF World Bridge Teams Championships. 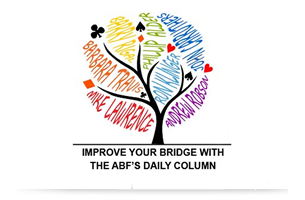 In leap years (2020, 2024, …), the WBF World Bridge Games. In even non-leap years (2022, 2024, …), the Asia Cup. Note that there are no WBF events in these years for National Representative Teams. Note also no target event was set for 2018, because the Asia Cup venue was in a country outside our travel policy. From time to time, the ABF may send teams to other “non-target” events throughout the world. Entering the Playoffs does not require players to commit to be available for non-target events. The selection policy for non-target events is Team Selection Policy for Non-Target Events.